The Best Supercar blogs from thousands of top Supercar blogs in our index using search and social metrics. Data will be refreshed once a week. Supercar newsletter is a comprehensive summary of the day's most important blog posts and news articles from the best Supercar websites on the web, and delivered to your email inbox each morning. To subscribe, simply provide us with your email address. Australia About Blog Supercars.net was started by Richard Owen and Daniel Guillamot in 1996. Together they put one of the first automotive pages on what was, at the time, a very spacious world wide web. Facebook fans 10,202. Twitter followers 108,919. London, United Kingdom About Blog Welcome to SupercarsofLondon. My channel covers anything and everything about supercar spotting in Central London (Where the Channel was born), or driving a hot hatch across Europe to race to the Monaco F1 Grand Prix! Facebook fans 233,327. Twitter followers 36,156. About Blog we are a club for owners of Supercars. We organise regular events to give you a reason to get the car out whilst meeting like-minded people along the way and creating some long lasting memories from behind the wheel! Facebook fans 60,502. Twitter followers 11,666. About Blog At Xtreme Xperience, guests get behind the wheel of a 400 horsepower luxury supercar such as a Lamborghini LP560-4, Audi R8, Ferrari F430 or Porsche 911 Turbo for 3 laps on a world-class road course-style racetrack. Facebook fans 59,712. Twitter followers 2,403. Facebook fans 2,855. Twitter followers 291. Facebook fans 1,146,818. Twitter followers 507,496. About Blog Our main goal is to serve as unique platform bringing the latest news on events, tuning and content regarding exclusive cars, supercars and sports cars. Facebook fans 513,164. Twitter followers 17,879. About Blog It's all about supercars and high octane motoring. We bring you latest from the world of high end exotics. Facebook fans 19,756. Twitter followers 1,237. Liverpool, England About Blog Stable Vehicle Contracts has become the industry leader in the supply of cars and commercial vehicles through leasing and contract hire in the UK. Facebook fans 124,605. Twitter followers 1,023. About Blog At Livery Blog you can find Review, Design and Discussion on all supercar. About Blog Superdrive.com is the global luxury vehicle rental marketplace.It features Self-drive, wedding cars, limo rental, chauffeur drive, motoring events and awesome driving experiences. Choose from thousands of vehicles and experiences and book direct with local companies for the best possible rates. Facebook fans 1,923. Twitter followers 3,453. Dubai, United Arab Emirates About Blog SuperCar Guru brings you full review of vintage, concept, electric and newly unveiled supercars. About Blog The Car Spotter brings you the latest car and automobile related content, including blogging, events and reviews.Ranging from popular cars through to rare classics and exotic supercars, The Car Spotter will share car content with you from around the world. Facebook fans 54. Twitter followers 7. About Blog Features and highlights from the world of Supercars including the Virgin Australia Supercars Championship, formerly V8 Supercars Championship. Facebook fans 814,922. Twitter followers 108,919. About Blog Welcome to SupercarsinBangalore! My channel covers anything and everything automotive. Whether that be Supercar spotting or Attending any events. We also organise Supercar Drives in the city. Facebook fans 98,103. Twitter followers n/a. About Blog Spotting the most amazing supercars on the street, subscribe to get notified about new videos! Facebook fans 938. Twitter followers 18. Facebook fans 11,122. Twitter followers 314. Melbourne, Australia About Blog All things Photography, Automotive Industry, Motorsport, Cars and Technology. Facebook fans 1,428. Twitter followers n/a. 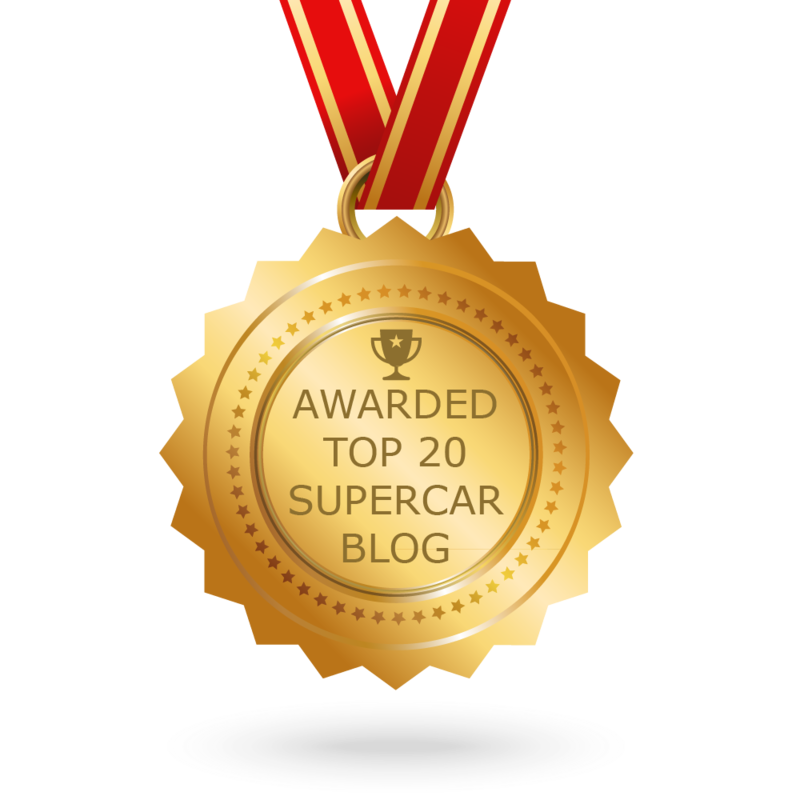 CONGRATULATIONS to every blogger that has made this Top Supercar Blogs list! This is the most comprehensive list of best Supercar blogs on the internet and I’m honoured to have you as part of this! I personally give you a high-five and want to thank you for your contribution to this world.